roller size: 4 nos. X 230mm lg. It comprises of an epicyclic type stainless steel paddle which is capable imparting rotating and revolving motions at two different speeds of approximately 62 or 125 rotations per minute, coupled with approximately 140 or 285 revolutions per minute. 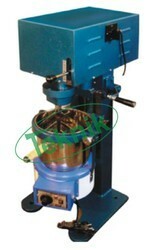 The mixer is provided with approximately 5 kg capacity Stainless Steel bowl. Heating jacket is provided below the bowl. From our extensive product range, we offer our clients a wide collection of Vortex Mixer at the most decent prices. This cost effective product is highly demanded among clients due to its sturdy construction and energy efficiency. Apart from this, this product is also east to handle and maintenance free. 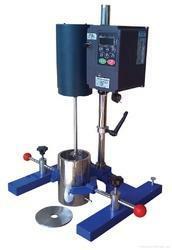 Vibration type, variable speed, neoprene cup impart vigorous agitation to tubes, with touch ON/OFF switch.